When you apply for a visa to visit Canada, you may be asked to provide a letter of invitation from someone who is currently in the country. This letter will be used by visa officers to determine whether you meet the terms of Canada’s immigration law in order to be issued a visa. 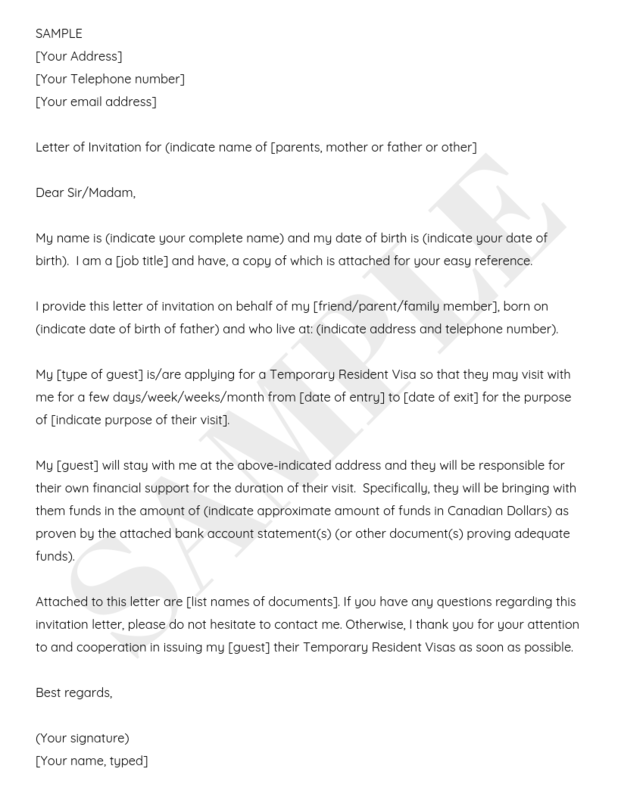 It’s important to note that a letter of invitation will not guarantee that you will be issued a visa. It’s also important to note that some visa offices require your letter to be notarized by a notary public. What should you include in your invitation letter? How should you format your letter? Does my invitation letter need to be notarized? You will not know ahead of time if your visa officer will request a notarized invitation letter. As such, many applicants opt to have a notarized copy ready to submit upon request to avoid potential delays in submitting their application. Further, if you wait to submit an invitation letter until the visa office requests you to submit one, your application will be delayed. A commissioner for taking affidavits may take affidavits and administer other legal oaths, affirmations, or declarations. In order to become a commissioner, individuals must be appointed as a commissioner for taking affidavits or notary public in Ontario. Do you require a witness?